After the stupendous success of Drishyam it was always going to be a humongous task for all filmmakers working with Mohanlal to come anywhere close to delivering a film that is not only successful but also manages to keep the fans and the general audience happy as well. B.Unnikrishnan’s Mr.Fraud, the actor’s first release this year saw the director trying to play it very safe by giving us a recycled tale with a contemporary touch and as expected the outcome was also not completely satisfactory. With Srinath Rajendran’s Koothara again the expectations were immense despite Mohanlal only having an extended cameo in the film. The reasons for the same being the actor’s peculiar getup and also the fact that it’s been ages since the veteran star has done a cameo and hence people were hoping that the film must have a lot of merit going for it which must have influenced his decision to accept the film. But what turned out was a complete disaster of a film and the extended cameo also turned out to be a totally bad decision. And then we heard of Arun Vaidynathan’s Peruchazhi as Mohanlal’s next release of the year, which also opens up the Onam festival season as the 1st major release. It was interesting to hear of Arun doing this film as not only is this is his first Malayalam film but it is also far bigger in scale compared to the Tamil films he has been associated with in the past- Achchamundu!Achchamundu! (2009 directed by him) and Kalyana Samayal Saadham (2013 which he produced). The first look posters indicated clearly that this was not going to be a serious film, far from it in fact. And later the trailer reaffirmed that Peruchazhi would most likely turn out to be a fun ride but wouldn’t be anything path breaking in terms of content. Hence it was but expected that I would go on to watch the film over the opening weekend itself, after all I wanted to know how far my intuition would be true. Peruchazhi is a tale that starts by introducing us to the main characters involved with the plot. Jagannathan (Mohanlal) is a political wizard with a keen interest in sports as he aspires to build a top notch sports academy for the budding sportspersons of Kerala. He is always supported in all his endeavours by his trusted lieutenants, Pottakuzhy Jabbar (Baburaj) and Vayalar Varkey (Aju Varghese). Francis Kunjappan (Mukesh), the state PWD minister always considers Jagannathan as his political rival, though they are very cordial to each other in person. Seeing Jagannathan’s rapidly growing popularity in the state Francis Kunjappan is desirous of doing something to move Jagannathan far away from the State political scene and he gets an opportunity soon in the form of Sunny Kurishingal (Vijay Babu). Sunny is the campaign manager of John Kory, the Republican candidate running for the post of California’s Governor and he knows that he is facing an uphill task against the campaign of the rival candidate, George Hope. Egged on by his wife (Sandra Thomas), Sunny reaches out to Francis Kunjappan for help and Sunny responds by sending across Jagannathan to the U.S as a consultant for the election campaign of John Kory. Jagannathan comes to the U.S along with Jabbar and Varkey and therein begins the political game. Does Jagannathan succeed in his mission? Does John Kory go on to win the elections? What happens to Jagannathan’s ambitious future plans back home? All these and more are the questions that are addressed in the rest of the film. Right from the opening credits as we are treated to various popular dialogues from different Mohanlal films to the scenes that unfold, Arun Vaidynathan’s intent is quite clear. 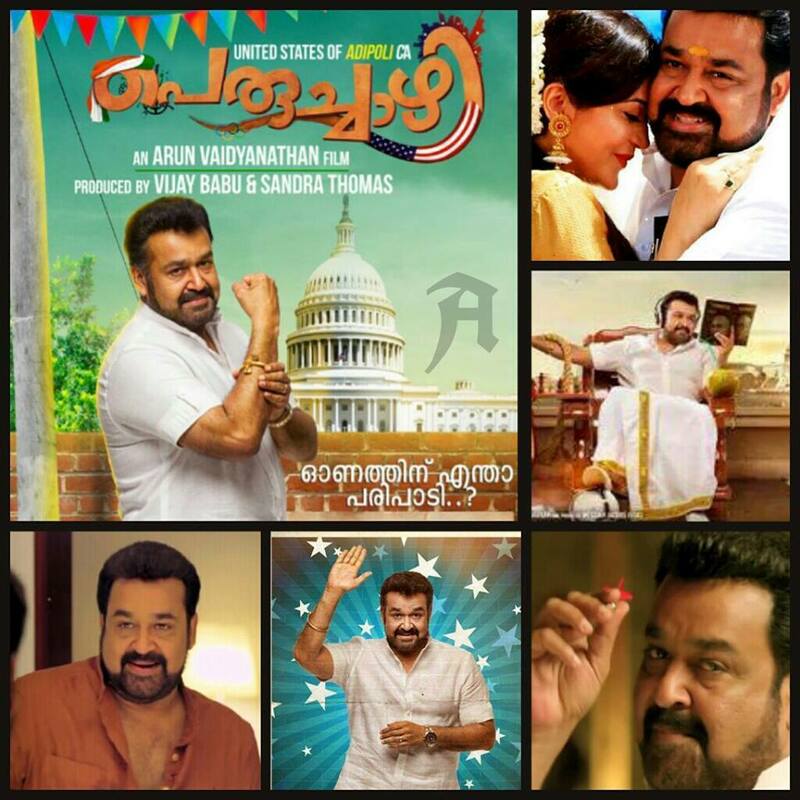 Knowing very well that the biggest attraction for the audience is Mohanlal, he has gone the whole hog in trying to give us a very large dosage of the star. So much is the star’s overbearing presence in the film that we can feel him even he is not on screen :). The film does have its share of risqué humour, but certain scenes and dialogues will still make you smile. Like the scene which spoofs Mission Impossible or Baburaj’s repartees at various places. The Mullaperiyar Dam issue probably was just added in jest, but then the way the portion has been handled also brings in a moment of satire quite well. While the portions depicting Kerala politics still look funny without looking silly, the political campaign part in the U.S looks largely silly and at times even way too difficult to believe. At times you may even ask yourself if politicians and voters can be so gullible like this. But then if you go by the underlying theme of the film you might still be ok with it as you know that Peruchazhi was never about a genuine look at the U.S political scenario in any case. And the portion which involves the visit of the politician from Delhi, Rohitji (Ashvin Mathew) might remind us of the famous part from Sathyan Anthikkad’s Sandhesham (1991) where Innocent as the Delhi politician Yashwant Sahai is simply wonderful, but over here the scene is very tame and hardly makes any impact unlike in case of Sandhesham. Mohanlal does look a little odd while replicating some popular scenes from his various films over here, considering his girth but then it’s nice to see him be so sportive about the whole thing as it’s all in good humour. Arrora has made a good entry to Malayalam Cinema with the songs composed for Peruchazhi. While the soothing “Enthu Cheiyyan” (lyrics by R.Venugopal and sung by Bombay Jayashri is the best of the lot, “Adichu Polikkam” (lyrics by Rajiv Nair and sung by Karthik and Arrora) suits the mood quite well when the trio is about to leave to the U.S. The dance number “Po Mone Dinesha” (lyrics by Rajiv Nair and sung by Jyotsna) even sees director Arun Vaidynathan and DOP Arvind Krishna, shake their legs for a brief moment :). Vivek Harshan’s editing ensures that the film doesn’t look too stretched for comfort. At about 154 minutes the length is adequate enough for the tale to unfold. Talking about the actors, Vijay Babu does well as Sunny Kurishingal and he plays the opportunist campaign manager quite well. Sandra Thomas has just a couple of scenes and is rightfully credited as a cameo. 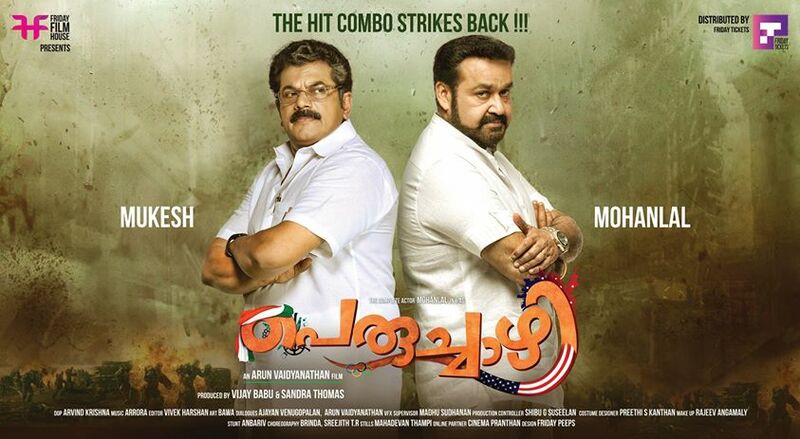 Aju Varghese and Baburaj lend good support to Mohanlal and Baburaj does provide for some chuckles with his dialogues. Ragini Nandwani who was seen in the Tamil film Thalaivaa recently makes her Malayalam debut with Peruchazhi and looks good for her part. But in the scenes between her and Mohanlal, the lack of chemistry is a little evident. Shankar Ramakrishnan doesn’t get much scope here while Poonam Bajwa is seen after ages in the “Po Mone Dinesha” song. Mukesh is an actor with a great sense of humour and even here he doesn’t disappoint. Ramesh Pisharody as his P.A lends good support. But eventually this is a film that would have not really made sense without its lead actor Mohanlal. This may not be anywhere close to Mohanlal’s best but it is very evident that he has had a blast while portraying Jagannathan and that shows in his performance. This is a role that doesn’t really require him to perform any histrionics and he clearly and smartly plays to the gallery in a way that he only can. As mentioned earlier as well Lal Ettan fans will find all the references to his earlier films extremely nostalgic and fun too largely. And it’s nice to see Mohanlal sportingly take a dig at himself too in a way. 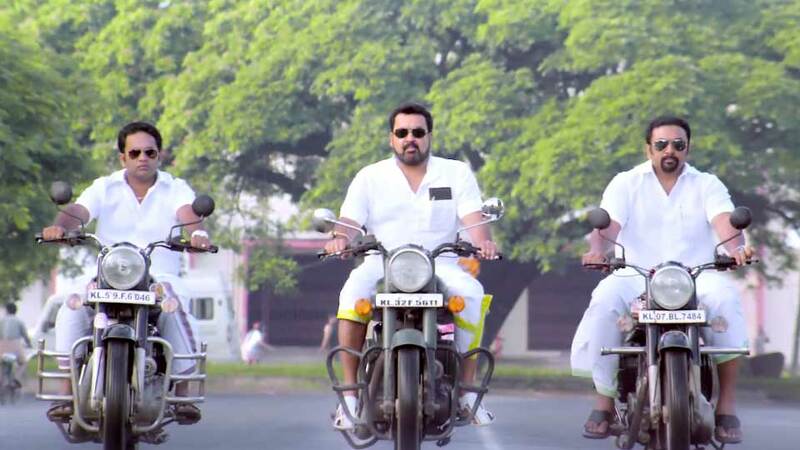 Ultimately Peruchazhi is a silly film and has many moments which might leave you stumped as well. But largely this is a fun ride as the promos had more or less promised. Arun Vaidynathan hasn’t delivered a classic, far from it in fact but then I guess that wasn’t the intent in any case. Peruchazhi isn’t all that bad a start to the festive season anyways, just that if you happen to be a fan of the star then your chances of liking it are a lot higher.